This career woman has defied the odds of religion and gender and is making a name for herself in a predominantly male industry. In the sweltering heat of noon, while the streets are abuzz with the sound of motorists and commuters, a group of people stand at an ATM queue. It is one of the newer, refurbished models of the machines, where customers can make cash deposits and transfers. Potential users itch with impatience, one of whom is a man standing behind a Hijab wearing lady. The man in question reads the woman’s hesitation and orders her to leave the queue if she is unable to operate the machine. She ignores him, waits her turn and then completes her transaction. As she turns to leave, the same man stops and requests that she help him with his. It turns out he is unable to use the machine. It’s difficult to tell if his earlier rudeness was because she was wearing a Hijab or because she’s a woman. Unknown to him, he had been standing behind a seasoned and educated electrical engineer, if he had known, perhaps he might have held his tongue. A female software engineer shouldn’t be an oxymoron in 2018, but it is. There are quite a number of them yet not enough, breaking stereotypes and changing perceptions one source code at a time, to increase women participation in tech and evidently challenge their status quo as the minority in those industries. Tomiwa, a married Muslim woman seeking to be all that she can be as a Software Engineer. In her case, the hurdles she’d have to contend with, are being a woman, a hijab-wearing Muslim and a doting Mother. According to her “there has to be a balance- as a married woman for instance, I have to work really, really hard at maintaining that balance, I don’t want people at work looking at me like being a mother and married is some sort of shortcoming”. From speaking with Tomiwa, it is easy to tell that growing up in a home where chores and activity where never gender-specific reinforced the backbone with which she tackles the challenges of her career. This, in turn, fuels her other dual role of being a working professional and a married, religious woman. 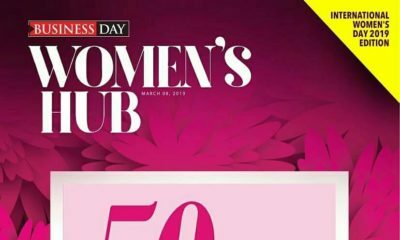 Tomiwa describes her love for engineering as a zeal – ‘this is a feat I never considered impossible despite naysayers who were quick to point out that engineering is not a girl’s job’. “This place gives me a sense of career growth. I don’t want to be in a position where I know it all. I like the feeling of overcoming new challenges. Here, we are allowed to dream and plan for the future so I’m not even thinking about exit plans.” The ATM incident earlier mentioned isn’t a one-off experience for Tomiwa. The man in question is not the first person to make an assumption about her intellectual capacities as a woman but, she doesn’t dwell on such things. On a daily basis, she is dispelling such perceptions by informing innovative changes with other female engineers and their male counterparts. ISACA is an international professional association focused on IT governance, conducted a study of women currently working in technology fields around the globe. Several issues emerged in the study as particularly significant concerns: The two biggest barriers women say they face in the technology workplace are lack of mentors (48 percent) and lack of female role models (42 percent). Every year, the International women’s day celebration regales women with praises and congratulatory endearments. This year, it’s a call to action. The time for platitudes is over. We must now see every woman in the full range of her capacities and achievements. Ernst & Young for example, is the first of the Big Four to assign full- time, partner-level leadership to diversity recruiting. Ever since the number of women in top executive management positions has increased by more than 20%. They also introduced EY Launch, a programme for ethnically diverse college freshmen, sophomores and transfer students, it builds awareness of accounting as a major and professional service as a profession. The workspace is clearly the most urgent and necessary environment to enforce the equal capabilities and opportunities between men and women. 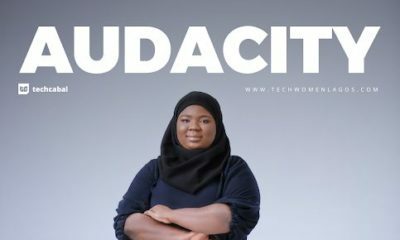 Women like Tomiwa exist to eliminate the element of surprise, proving that equal opportunities in the Tech industry is not merely on the horizon, but is gradually becoming attainable. 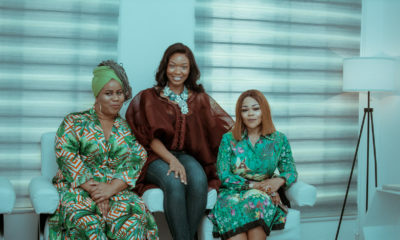 In admiration of Ire Aderinokun, Nigeria’s first female Google Developer Expert, Aisha Bello, a virtual systems Engineer at Cisco Nigeria, Zainab Ahmed, a Software Development Manager at Konga amongst other women in Technology, shattering the glass ceiling by being pillars of Tech and software engineering- an understated fact. in light of their achievements, Tomiwa only wants to do her best. Softcom is a thinking company that over the last 10 years, connected people and businesses with meaningful innovation for business and social impact. Connect with us on Facebook, Twitter and check out our website here.